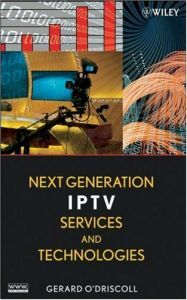 This book helps address the skills shortage and support expansion of IPTV across the globe. Telecom operators, wireless mobile providers, cable TV companies, media companies, broadcasters, video production companies, and Internet portal companies worldwide are either offering IP video services or actively investigating their deployment. This book increases the reader's knowledge of IPTV, which in turn leads to greater confidence in dealing with day-to-day planning and management of IPTV systems.